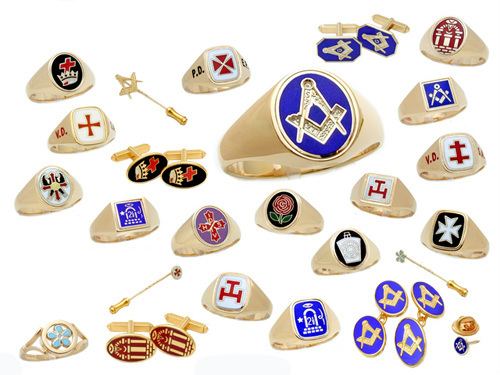 All Masonic jewellery is made and manufactured on the premises in silver or gold. The enamel is vitreous (fired enamel in a kiln) and not the resin type enamel which have a tendency to fall out. All the rings can be made reversible or as a fixed head, with or without G in sizes ranging from M to Z. It is possible to manufacture larger sizes, at an additional cost. Most Square and Compass masonic rings are enamelled blue. However, if required we can enamel with red, green or black as an alternative colour. The masonic rings shown can be made in yellow or white gold in 9ct or 18ct and Sterling Silver 925.